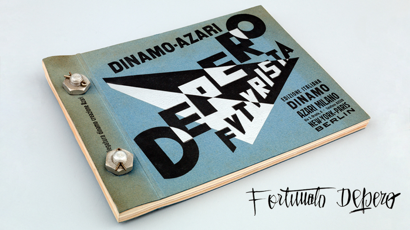 The front cover of Depsero's "Bolted Book"
Designers & Books collaborates with Italian and American museums and global crowdfunding site Kickstarter to create a facsimile edition of Fortunato Depero’s 1927 monograph "Depero Futurista." 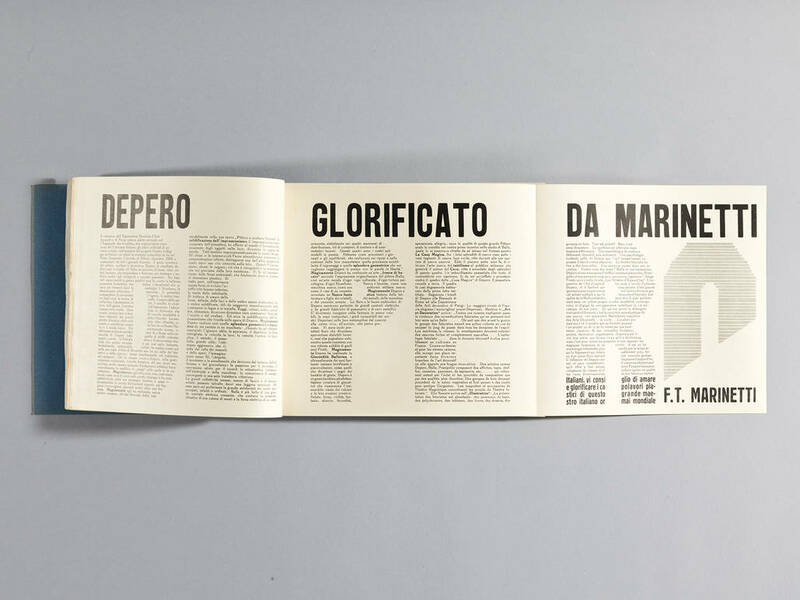 October 18, 2016, publication company Designers & Books launched a promotion through American public-benefit corporation Kickstarter to publish new facsimile edition of Fortunato Depero’s manifesto Depero Futurista. This is a true contribution and accolade to the massive impact Depero left on Italian Futurism and on Italian modern culture today. 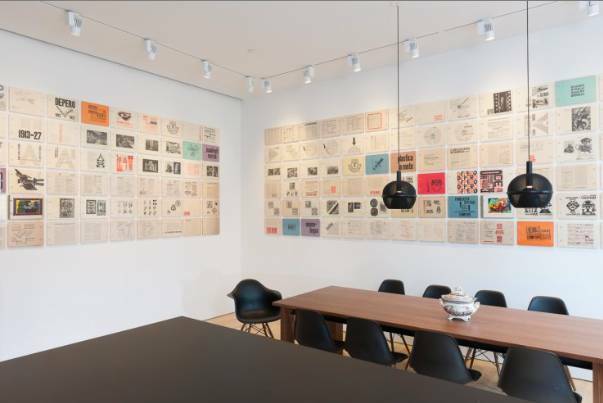 The launch was courtesy of the tri-collaborative effort by The Center of Italian Modern Art (CIMA) in NYC, which displayed the pages of Depero Futurista in an exposition called Unbolted on the walls of their gallery. The Museum of Modern and Contemporary Art of Trento and Rovereto, in Italy, along with Designers & Books, in New York, came together with Kickstarter to continue the promotion for the creative arts project. Through their collaboration they have already raised $115,000 towards their goal of $249,000. With just a few short weeks left, the fundraiser ends December 1, they maintain high hopes of raising enough to put their extraordinary project in action. 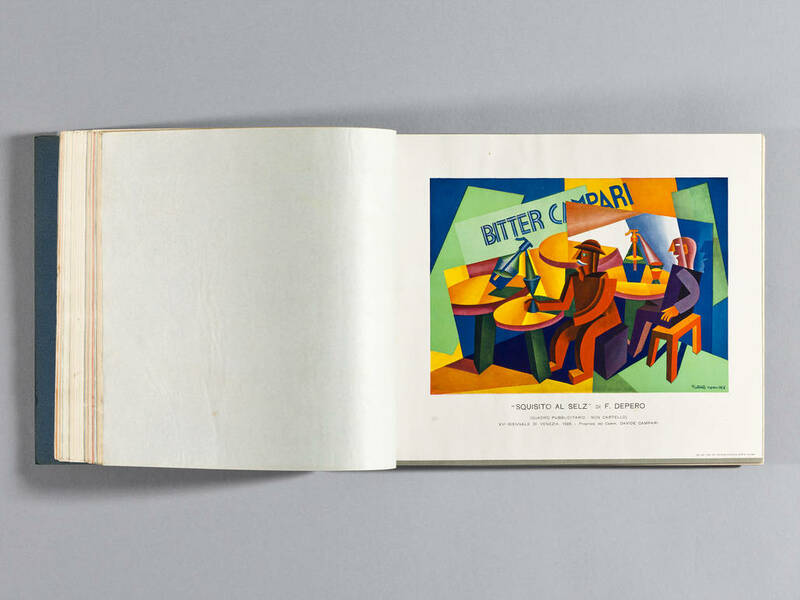 The 1927 Book Facsimile will be an exact replica of the extremely rare original copy created by Depero that has been primarily showcased in permanent collections, museums, and libraries around the world. It includes the unique aluminum bolted binding, thick blue covers, multicolored pages, and an English readers guide with translations and key elements of the original book in Italian. On Nobember 3, CIMA is offering the incredible opportunity to view an authentic copy, reservations are required and can be obtained without charge at www.italianmodernart.org. Futurism was an Italian social movement in the early 20th century that encompassed artwork of all mediums and provoked speed and innovation. 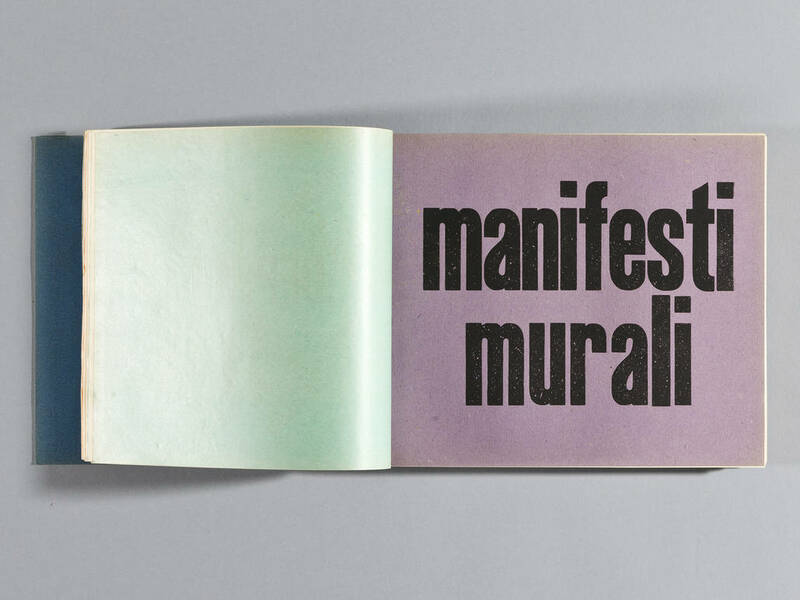 The publication of manifestos was a principal attribute to the futurist era because it created a spectrum of sequences for the various ideas central to futurism. Amongst the texts, similar to Depero Futurista, were images of unseen technology, bold adventure, unconventional youth, and revolutionary drawings that pushed the limits of the present-day mindset compiled into one concise form. 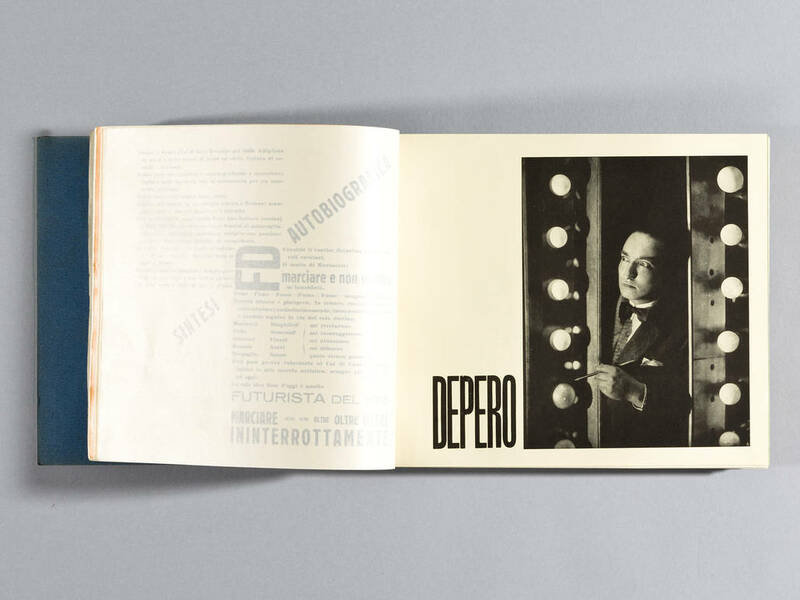 The 240 pages of Depero Futurista or "Depero the Futurist" galvanize the viewer with images between the bolted pages of explorations, experiments, advertisements, and ideas comprised of various colors and typography that dig deep into artist's mindset. It encompasses a mixture of text and shapes to create a platform for a futuristic morality that unveil intuitive inventions that were far beyond the platform of the Italian 1920s. 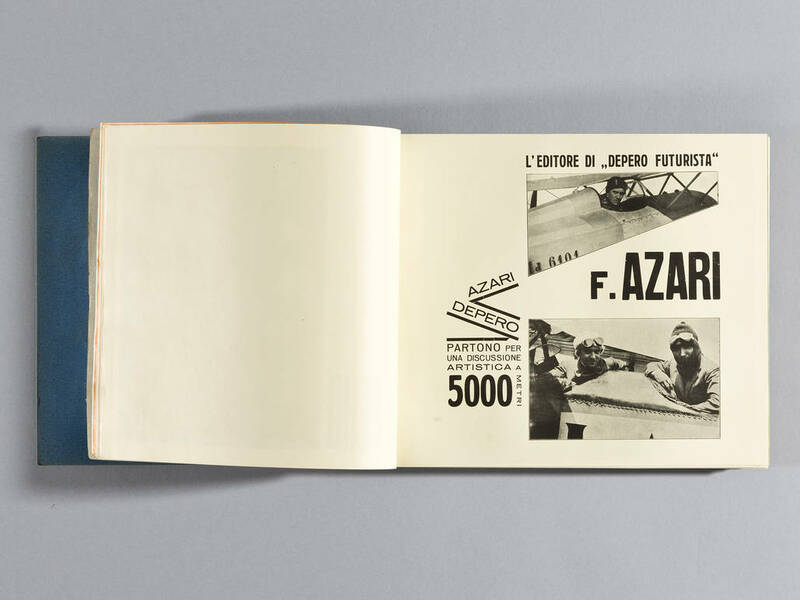 The facsimile brings the machine age as a centerpiece to any designer book collection, as the piece is a true masterpiece of avant-garde bookmaking. The recreation has been designed and approved by the experts of the MART and CIMA who have specialized in the work of Depero and others after exhibiting futurism art throughout the history of their galleries. Designer & Books was founded on the idea of reproducing historic books that have been out of print. 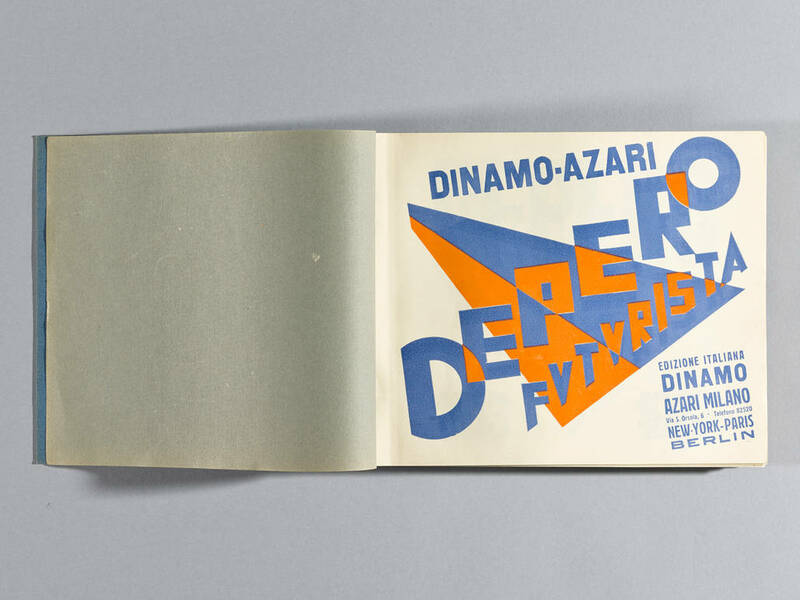 They have embarked on the journey of duplicating Depero Futurista with their mission of connecting to a specialized audience who contain a respect and understanding for the importance for historic book revival especially of the Italian Futuristic era. This project can be backed through Kickstarter at bit.ly/BoltedBook.